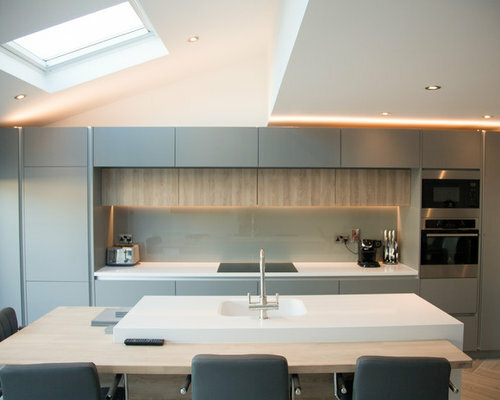 Contemporary two tone German handleless kitchen. 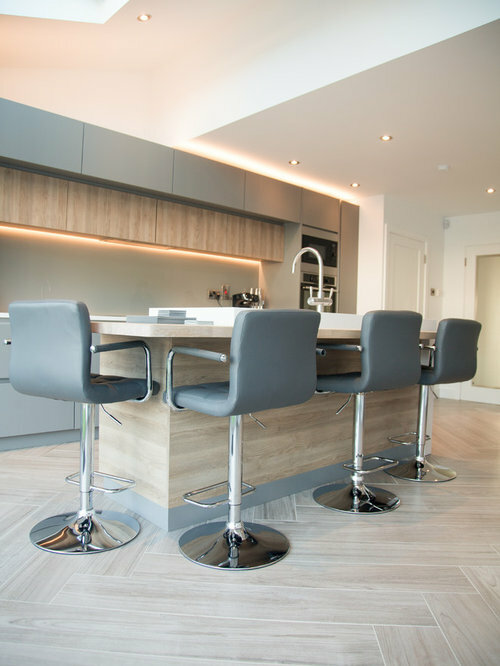 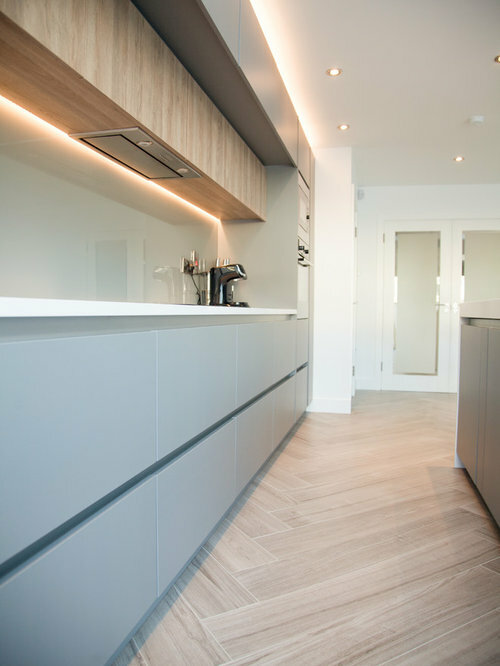 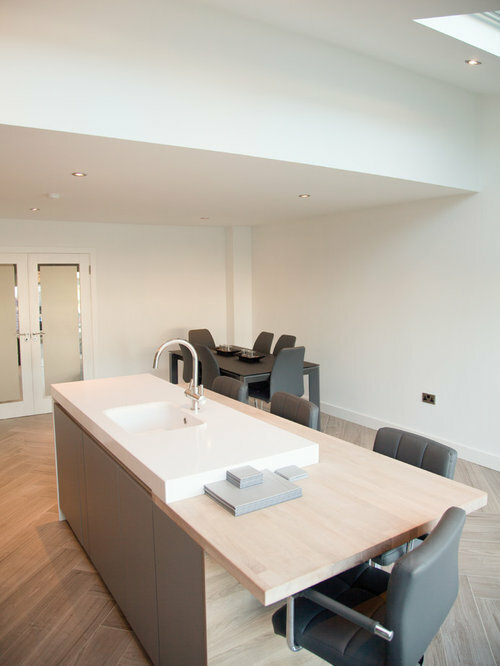 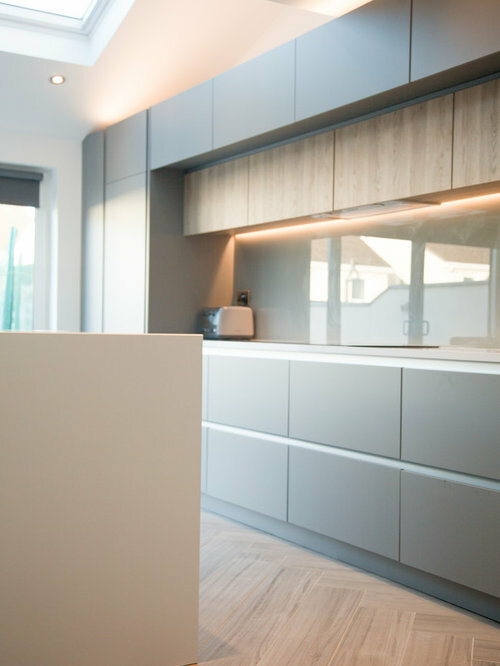 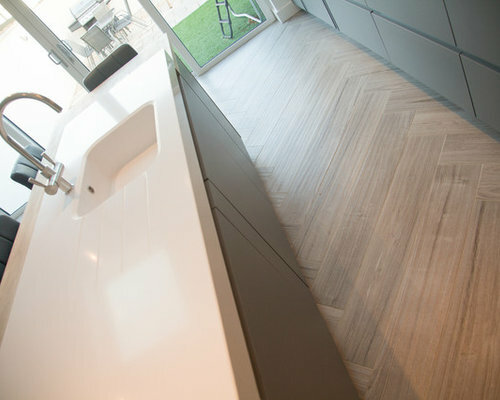 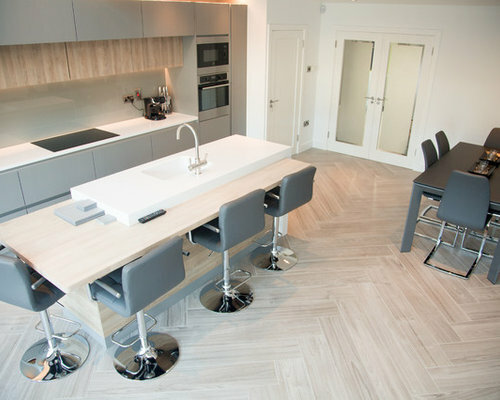 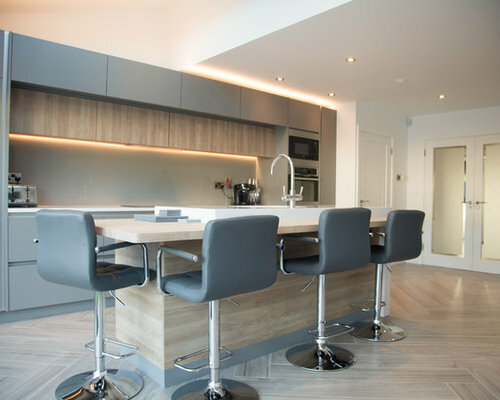 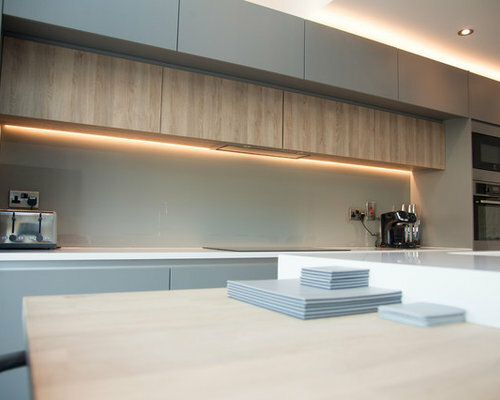 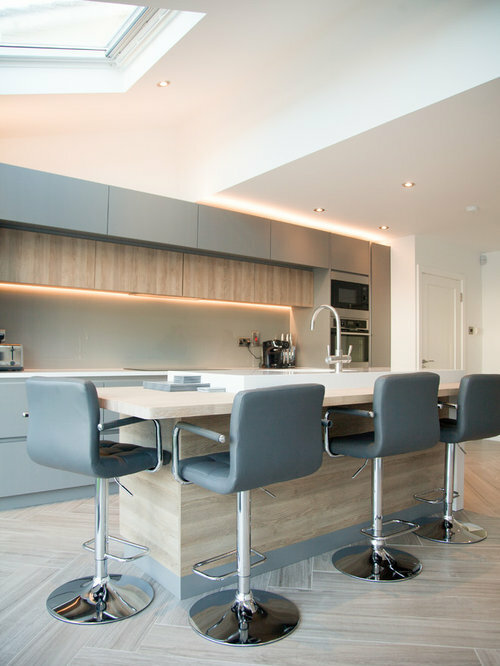 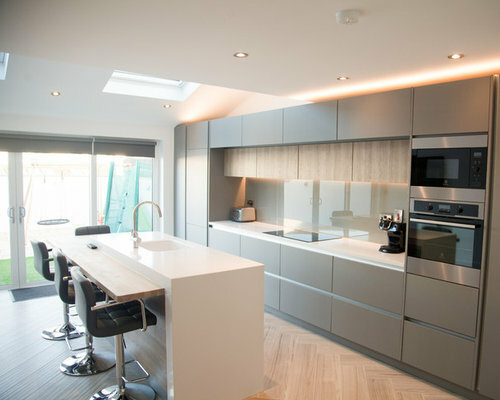 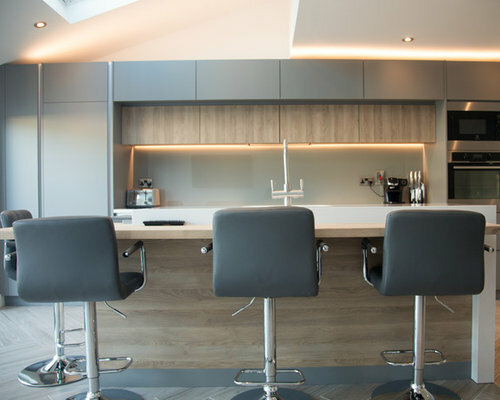 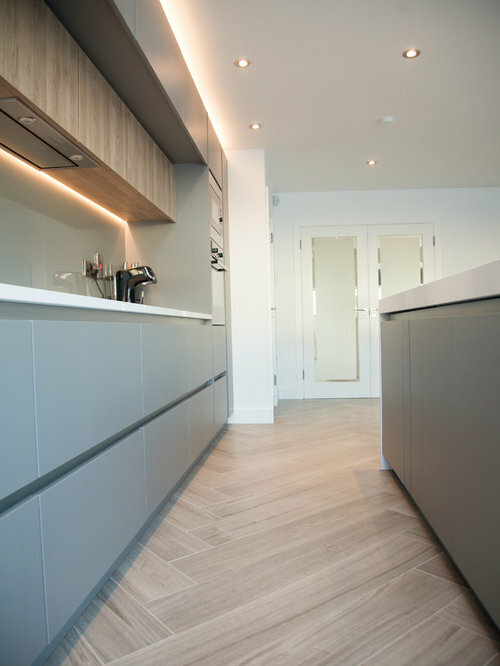 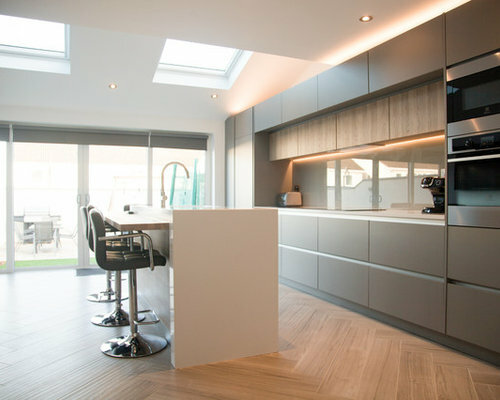 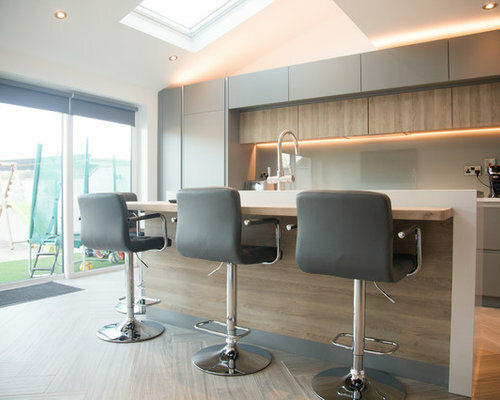 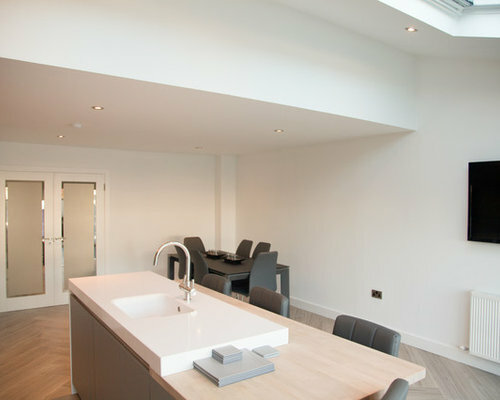 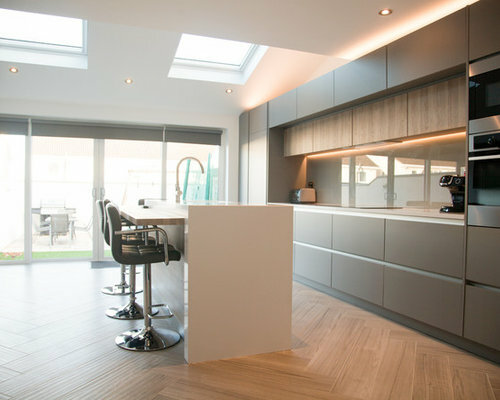 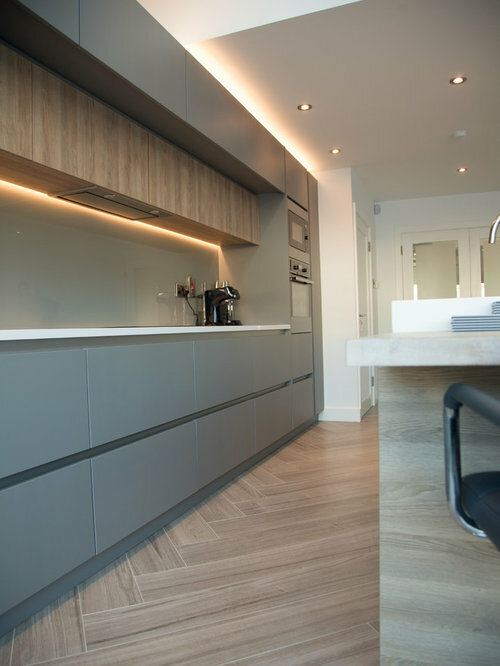 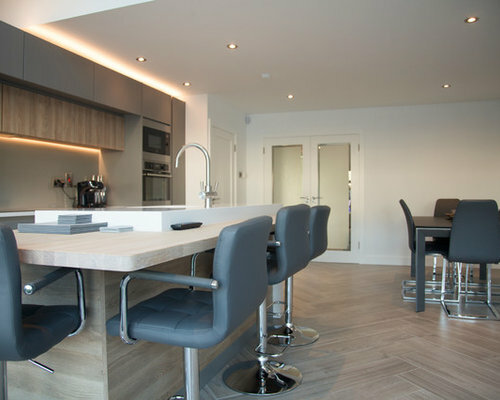 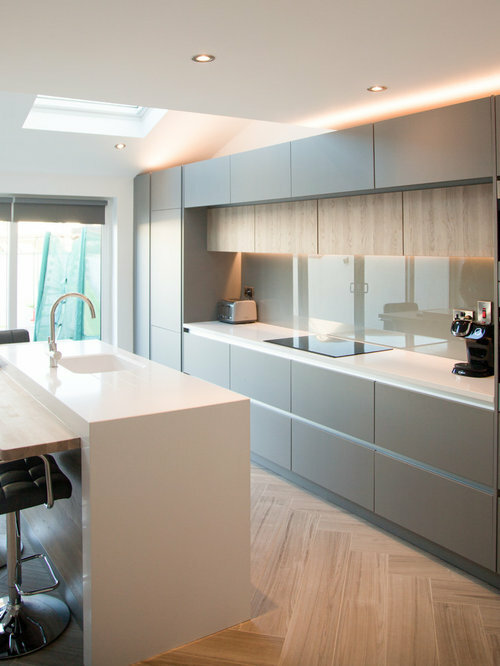 A combination of matt dust grey and oak tones really give this kitchen a stunning finish. 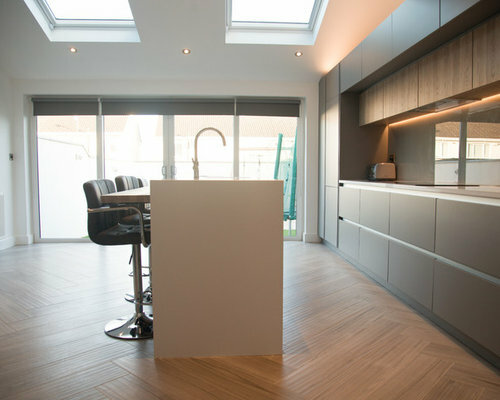 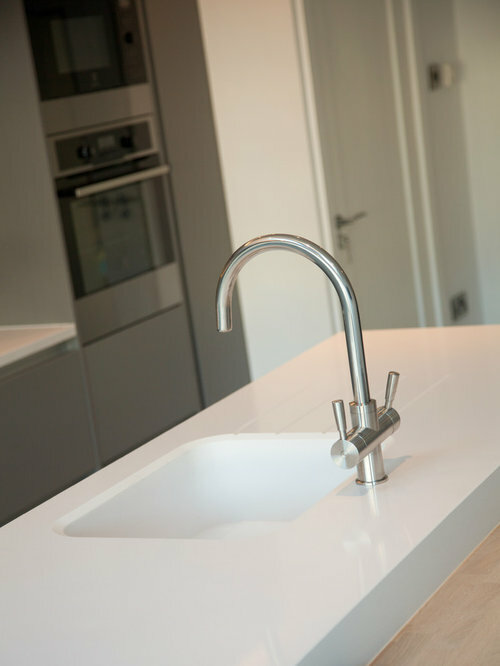 The worktop is finished in corian and solid oak.